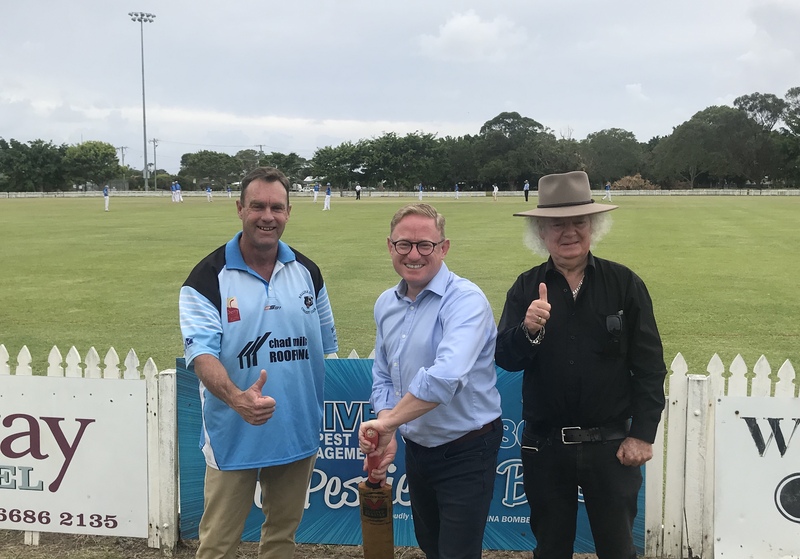 Nationals Parliamentary Secretary for Northern NSW Ben Franklin joined with Ballina Mayor David Wright today to announce that Fripp Oval in Ballina will get a new picket fence. Fripp Oval is the home of the Ballina Bears Cricket Club and the Ballina Bombers Australian Rules Football Club and hosts a number of regional sporting competitions. “This has been desperately needed for years. The current fence is dilapidated and a potential safety risk with missing and broken palings around the ground,” Mr Franklin said. “When the Club approached me for help, it was clear how much a new fence was needed for the community,” he said. The State Government will contribute $25,000 of the approximately $40,000 cost with Ballina Council contributing the remainder. “I am pleased that the State Government and Council have worked together to fix this eyesore,” Mr Franklin said. “This is exactly what the community expects us to do. To identify problems and then work together for the good of the community to fix them,” he said. Mayor Wright said Ballina Council was delighted to support the project. “Fixing the Fripp Oval fence will have important flow on effects because a better facility will likely attract more regional events to our town,” Mayor Wright said. Phil Melville, President of the Ballina Bears Cricket Club, expressed his excitement about today’s announcement. “The existing picket fence is in a very poor condition and is unsafe, leading to vandalism and potential injuries to sporting players and officials,” Mr Melville said. “It is also a poor look aesthetically and does not encourage higher profile sporting events to be held here,” he said. “The Club is delighted with today’s announcement which will benefit the whole community,” Mr Melville said.